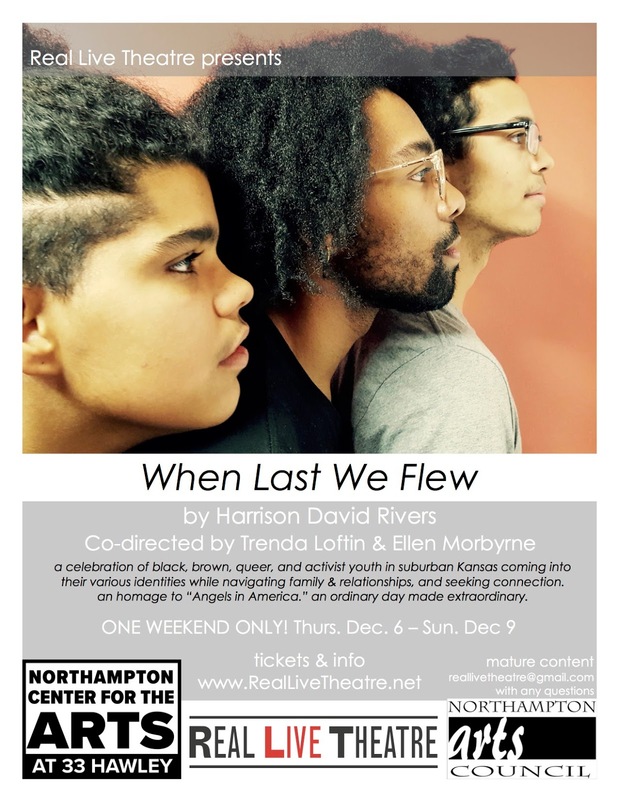 Real Live Theatre presents "When Last We Flew," by Harrison David Rivers: a reflection, a holding, a celebration of black, brown, queer, and activist youth coming into their various identities while navigating family and relationships, and seeking connection. These characters are nuanced and real, their stories are relatable and simultaneously inspiring. This coming of age story follows teenagers Paul, Ian, and Natalie (and their families) as they discover who they really are. After stealing his local library's only copy of "Angels in America," misfit teenager Paul locks himself in the bathroom and begins reading Tony Kushner's landmark play. He soon finds that his life and the lives of those around him in his small Kansas suburb are about to take flight, and over the course of a seemingly ordinary day, extraordinary things start to happen. Tickets are $25. There is a sliding scale for those who need it starting at $10. 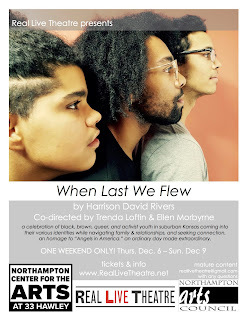 There is also a sponsor sliding scale for those who can afford to support the arts starting at $26. Lyra Music Workshop Registration Is Open!